After operating for a quarter of a century mainly on Mt. Rowe, the Belknap County recreation area underwent a quarter of a million dollar expansion. 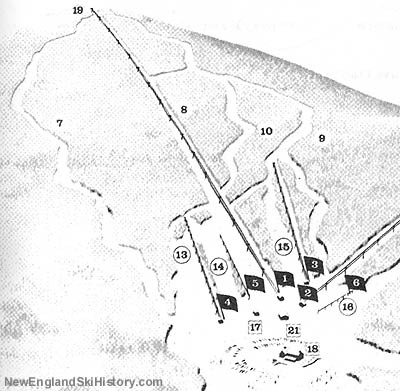 A new mile and a quarter long Mueller double chairlift was installed to the summit of Gunstock Mountain for the 1962-63 season, increasing the area's vertical drop by nearly 600 feet. 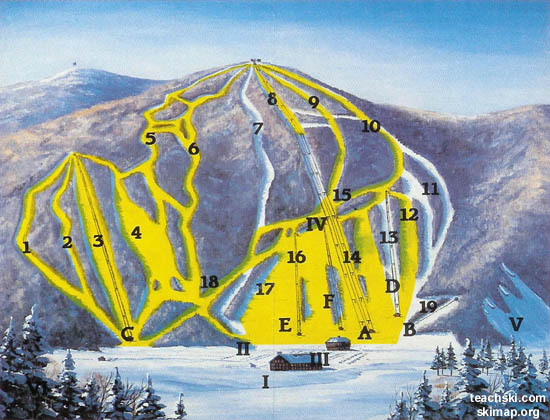 Four trails were initially served by the chairlift - Recoil, Ramrod, Flintlock, and Trigger. In addition, a summit lodge was constructed. 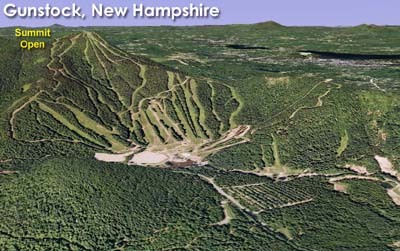 With the expansion, the ski area's name was changed from Belknap to Gunstock. Two years later, a 6,500 foot long by 1,400 foot vertical Mueller double chairlift was installed alongside the summit double, thus increasing uphill capacity. The lifts would be replaced two decades later with a triple chairlift.